Don’t Miss Out on the Final Stretch of the Formula 1™ Season! As we hit the final stretch of the Formula 1™ season, there is still much action, adventure and thrill to catch at the race track. With races left across the World in Malaysia, Japan, United States, Mexico and Abu Dhabi, Grand Prix Experiences is the company to turn to! 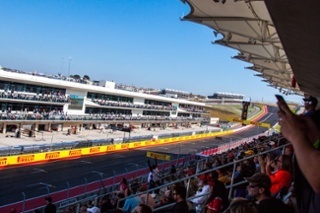 Hosted at the Circuit of The Americas™ track in Austin, Texas this race held from October 21-23rd is steadily approaching. With top teams confirmed to hit the pavement, this race is building to be one for the history books. You will have access to exclusive hospitality venues, celebrity appearances, gourmet food and beverage options, fast access passes and much more! Package Spotlight – Gold B: Enjoy impeccable views of the pit action, screaming straight, final turn and finish line with this F1 USGP™ option. With package inclusions such as fast access passes, Legends Club Hospitality access with celebrity appearances by Indy 500 Champions Danny Sullivan and Alexander Rossi, gourmet food buffets in a climate-controlled venue, you can’t go wrong! Hit this newly-renovated track to experience all the excitement and passion that Mexico brings to the race track. With official grandstand hospitality, exclusive insider extras, preferred seating options and breathtaking views, you can’t go wrong with any option. Take VIP to the next level with access to the Support Race Paddock, Pit Lane Walks and the F1™ Village. Package Spotlight – Forte Sol North: Friday to Sunday access, open-air, bench style seating and privileged views and front-row seating to the trophy presentation round out this amazing package. Add in travel and lodging to match your breathtaking views of Turns 12, 13, 14 and 15 to complete your experience. Experience Paddock Club access at any of the F1™ WW events left in the 2016 season. With privileged views of the race, gourmet dining and fine wines, music entertainment, driver interviews, Paddock Club is the way to have the most desirable race experience. 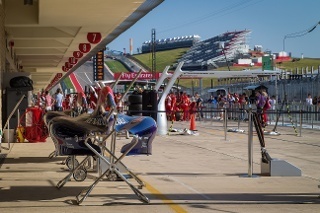 You will also have access to exclusive insider extras available such as pit lane walk, the Support Paddock Race, access to F1™ Village, VIP Parking availability and much more. Catch the end of the Formula 1™ season before it’s too late! Between exclusive insider extras, unheard of access and privileged views at each track, Grand Prix Experiences has the best of the best.